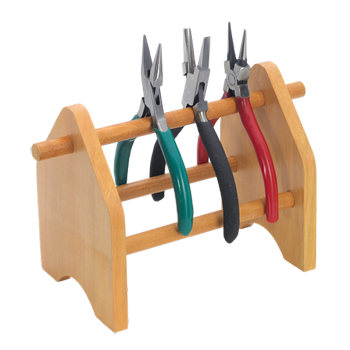 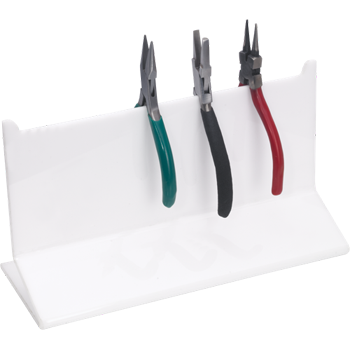 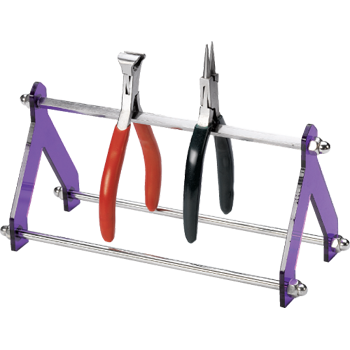 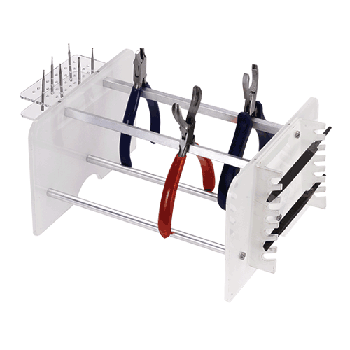 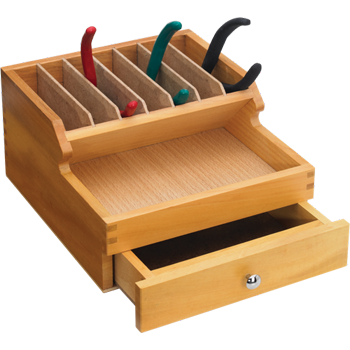 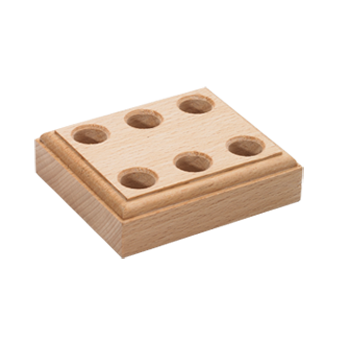 Holds Seven Pliers, Shelf for Tools, Storage Drawer, Ideal for Hobbyists, Jewellers or Watch Makers to place on work bench. 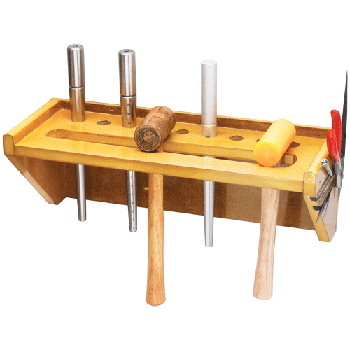 Upright Model, Ideal for Placing on Workbench. 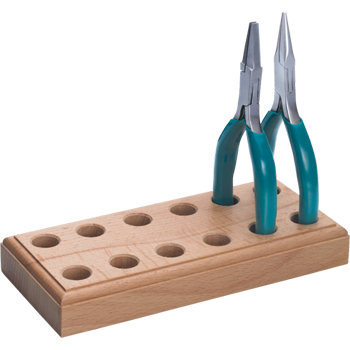 Round long bars support Pliers and Nippers and can be kept on a workbench to be handy within reach-Size:7.5"x 3 3/4" x 4 3/4"